From rock climbing in the Garden of the Gods to spending the night in a decked-out treehouse, we’ve partnered with Breckenridge Brewery to help you make the most of summer in Colorado. Thousands of visitors will make the trek to my colorful state over the next few months, summoned by the bounty of outdoor activities and breathtaking views. How could I blame them? Blessed with over 50 peaks exceeding 14,000 feet (known as “14ers” to locals), plus hundreds of smaller summits, our mountains have plenty of heart-pounding trails for runners, bikers, and hikers of all skill levels. We do rugged relaxation right, with secret hot springs and watering holes begging for a post-adventure dip hiding in valleys all across the state. Even city slickers can get a taste of the great outdoors without leaving Denver, thanks to unobstructed views of the Colorado Rockies. But if you’re anything like me, figuring out what to eat and drink while you’re living your best summer life is almost as important as deciding on the activity. Here, I’ve pulled together a bucket list of must-do outdoor activities all across Colorado—plus the best dining options, including your own campfire—for visitors and locals alike. What are you waiting for? Take a dip at Blue Mesa Reservoir. Landlocked as we may be, Colorado has plenty of lakes and reservoirs, prime for a summertime swim. A day at the beach (er, lake) can be had at Colorado’s largest body of water, Blue Mesa Reservoir. Clocking in at over 20 miles long, lake life here includes leisurely kayaking, stand up paddle boards (SUP), and skimming the waves via boating, all of which are available for rental. But with 96 miles of shoreline, a day of sunbathing is welcome here too. With a myriad of campsites nearby, taking a late night dip after a scorching day is just what the summer calls for. What to eat: Park it for a night and set up camp at Elk Creek Campground, perched on the northern shore of the lake. With reservable grills and campfire rings, whip out the cast iron skillet or sizzle up some good ol’ fashioned barbecue—or even better, brats cooked in beer (we go with a crisp pilsner) and campfire potatoes. Spend the evening stoking the flames, winding down with hushed conversations overlooking the water, and and sipping on the leftover brew you didn’t use for the brats. Elk Creek Campground; Gunnison County. Explore Red Rocks Park and Amphitheater. The only naturally occurring amphitheater in the world, Colorado is blessed with the Red Rocks Park and Amphitheater, just 20 minutes west of Denver. Flanked by two, 300-foot sandstone rocks, the acoustically sound theater has hosted a legion of legends including The Beatles, Jimi Hendrix, and Bruce Springsteen. Beyond a solid lineup of outdoor concerts, the amphitheater plays hosts to a number of events during the summer season including Yoga on the Rocks and Film on the Rocks. Sitting on 738 acres of land, fitness enthusiasts are welcome to hike and bike, free of charge, on awe-inspiring trails. Your four-legged friends are welcome, too! What to eat: Just in time for the summer season, the food program at Red Rocks is getting a revamp. Concertgoers can revel in pulled pork and burnt ends from food truck-turned-brick and mortar, Rolling Smoke. Of course, opening the trunk and tailgating in the parking lot is also always an option. This soft, salty pretzel for a crowd makes the perfect on-the-go snack and goes down nicely with a refreshing agave wheat beer. 8300 West Alameda Parkway, Morrison; 720-865-2494. Explore the backdrop of Boulder with a hike through Flatirons. The massive sandstone rocks offer miles upon miles of hiking trails, ranging from novice to extreme. Located at the base of the mountain, adventurers can get their footing with an easy stroll through wildflower meadows on the Chautauqua Trail. 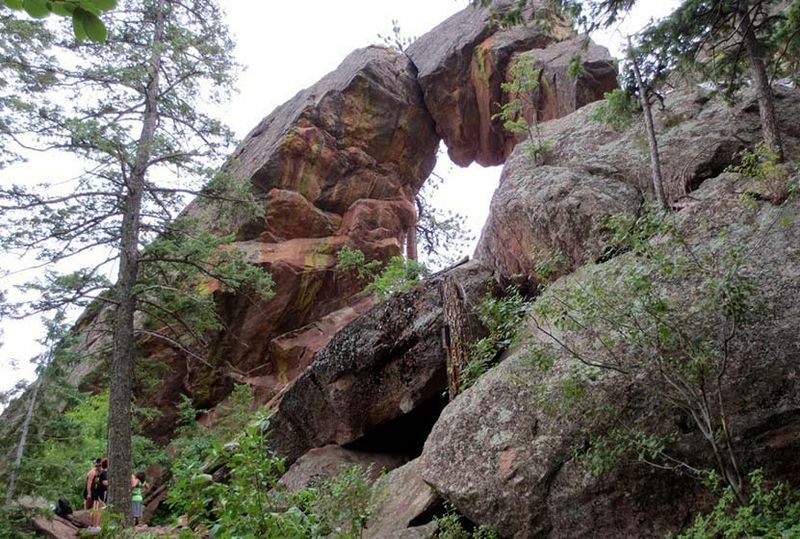 Seasoned hikers up to the challenge should seek out the stunning 20-foot sandstone arch on Royal Arch Trail. Perched in the folds of the Flatirons, reaching these beautiful environs requires venturing through a steep trail of boulders and forests, gaining more than 1,200 feet of elevation. Grab your wetsuit for the annual Tube to Work Day. Held bright and early on July 11, thousands of Boulderites forgo their cars, commuting to work via the currents of the Boulder Creek. 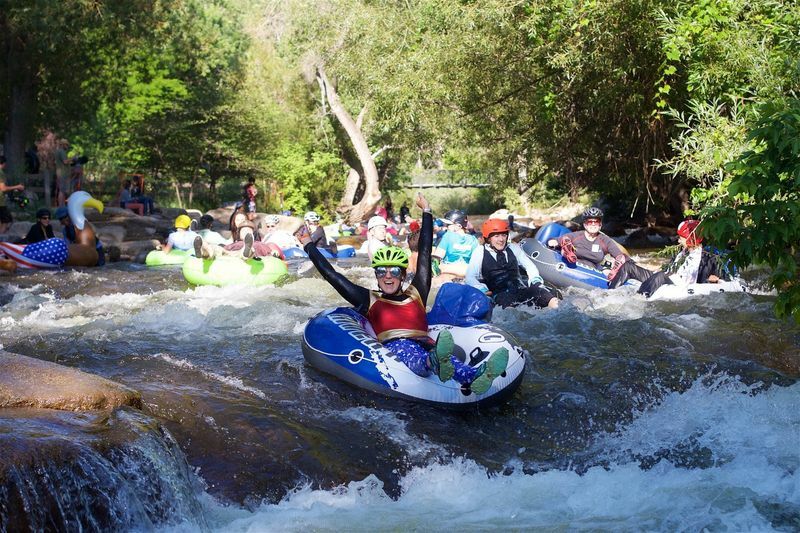 Started in 2008 by two friends, Jeff Kagan and Andy Gruel, the water-logged ride to work has gained quite the following, amassing over one thousand tubers in 2017, braving the waters in business casual. With safety in mind, this BYOT event (bring your own inner tube) requires tubers to wear helmets and closed-toe shoes. Even though a cold dip in the river may replace a morning cup of coffee, wetsuits are definitely recommended. What to eat: Finish your ride at Central Park, dock your tube, and fill up on a free breakfast alongside your fellow tubers. Or if you feel like taking your time getting into the office, stop by The Lazy Dog, which opens its doors at 11:30 a.m., for an early lunch of burgers and an aromatic IPA. Just remember to towel off first, ok? Begins at Eben G. Fine Park, Boulder. 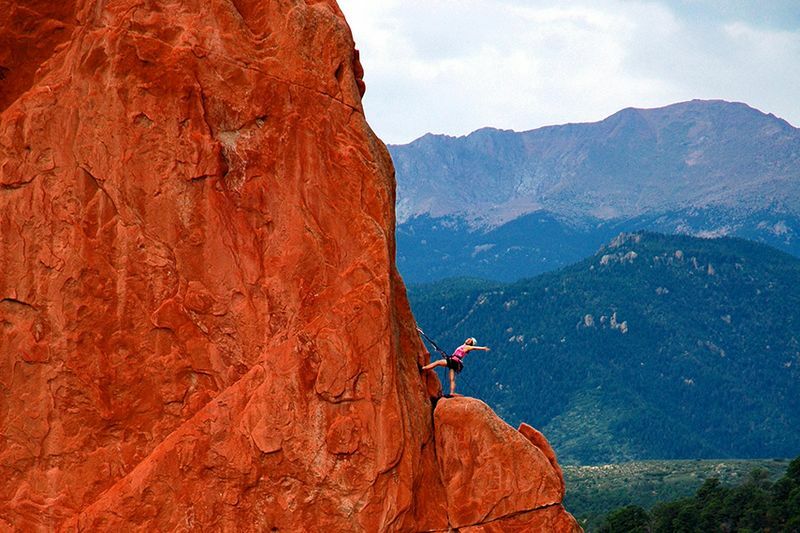 Give rock climbing a go at Garden of the Gods. Seemingly built for the gods themselves, Garden of the Gods is one of Colorado Springs’ most famous attractions. Surrounded by 1,300 acres of sandstone rocks formed millions of years ago, the red-splashed rocks attract rock climbers far and wide, thanks to its all-year climbing season. Chalk up and scale these geological wonders including North Gateway Rock, Grey Rock (aka Kindergarten Rock), and Keyhole Rock. New to rock climbing? A number of local climbing companies provide personal instruction for climbers of all levels. What to eat: Conquered the rocks? Celebrate with some creative bites, like duck wings with orange-honey glaze and curry dusted cauliflower with a coconut-lime sauce, and a hearty oatmeal stout at The Rabbit Hole in the heart of Colorado Springs. Nothing soothes aching muscles like some tasty food and brews, right? 101 North Tejon Street, Colorado Springs; 719-203-5072. Take a day trip up to Palisade. Nicknamed “The Peach Capital of Colorado,” the fertile, sun-soaked grounds of Palisade give way to a bevy of produce including cherries, apples, and, of course, peaches. The surrounding lush valley offers an abundance of outdoor activities—thrill seekers can play hard on the Grand Mesa Trail, while rafters can indulge in a scenic float down the Colorado River. For an adventure that doesn’t require breaking a sweat, stop by one of the many wineries (the area’s got 25 and counting), visit Colorado’s original meadery (Meadery of the Rockies), or check out Peach Street Distillers for a taste of the hard stuff. 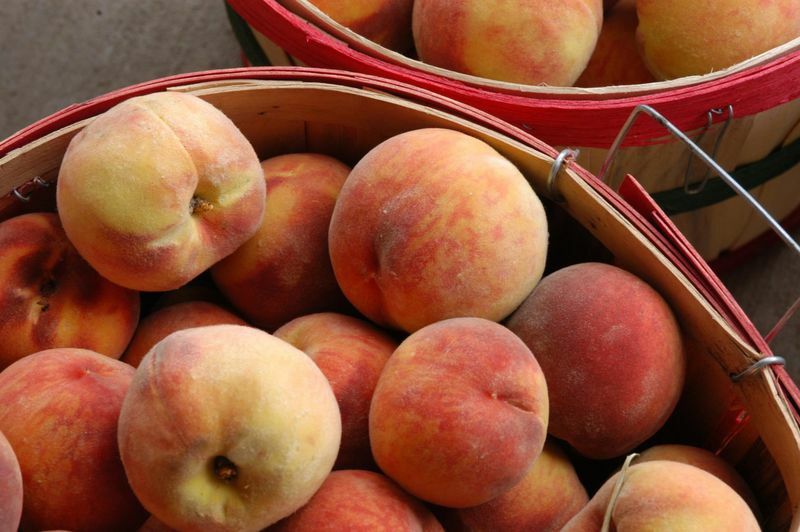 What to eat: In search of a luscious peach? All you have to do is take a drive. With multiple fruit stands dotting the roads during the summer season, greedily grabbing a box (or two) of fresh fruit for the trip home is a necessity. Once you’ve got your hands on some peaches, grab a few cans of Breckenridge’s Nitro-Series Orange Cream Ale and have an impromptu roadside picnic—the sweet, citrus notes plus the creamy texture (thanks to smaller air bubbles) of this nitrogen-charged beer pair up nicely with the freshly picked fruit. Multiple locations; Palisade. Home to nearly 3,000 breweries, Colorado is a veritable treasure trove of craft beer, no matter which way you turn. When creating your own brew trail, Breckenridge Brewery definitely deserves a stop—or two—on your list. Head to the 8,000-square-foot restaurant-meets-taphouse-meets-beer garden Farm House in Littleton, just outside of Denver, for a lodge-like feel, expansive lawn, and guided brewery tours. Or, if you’d rather cross a mountain excursion off your list at the same time, travel up to the original Breckenridge Brew Pub nestled in the historic town of Breckenridge. At both locations, you can sample drafts, specialty bottles, and newly released brews you won’t be able to try anywhere else. Check out their events calendar before you plan your trip for the full list of festivals, parties, concerts, and more, which are scheduled to happen at both locations, plus other spots all across the state. What to eat: No surprise here, but the menu at both the Farm and the Brew Pub are packed with just the kind of fare you’d want to eat while sipping a cold one (think burgers, fish and chips, and satisfying entrees like pork tenderloin). Keep your eyes peeled for dishes where beer plays an additional supporting a role, like pork belly & leeks served up in a Breckenridge Avalanche Ale jus, or an apple galette topped with a scoop of housemade hop smoked stout caramel ice cream. Littleton location: 2990 Brewery Lane, Littleton, 303-623-2739; Breckenridge location: 600 South Main Street, Breckenridge, 970-453-1550. Wake up early to experience Hanging Lake. 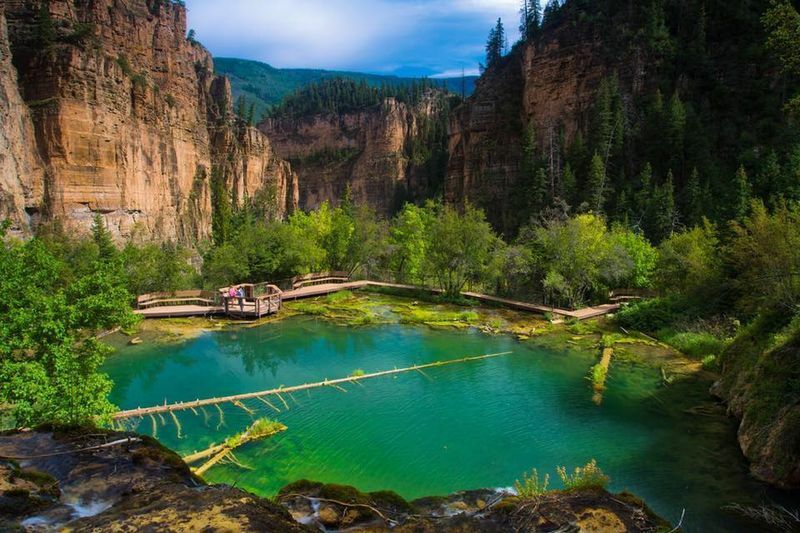 Named a natural landmark in 2011, making the trek to the lush surroundings of Hanging Lake is on many a Colorado bucket list. And how could it not be? The short, yet rocky, 1.2-mile climb to Hanging Lake rewards with serene waterfalls that tumble into a basin of turquoise waters. Visits to the waterfall have surged as of late—clocking in at 150,000 visitors last year—with both parking lots filling up as early as 8:00 am. Keep note: If the lot is full, travelers will need to try again at another time or make the long drive back, sans waterfall adventures. Avid explorers should arrive before 7am to snag a parking spot. But to avoid the headache entirely, rent a bike and make the ride to the trail. What to eat: With a rest area offering multiple shaded picnic tables, lunching is ideal before or after the hike. 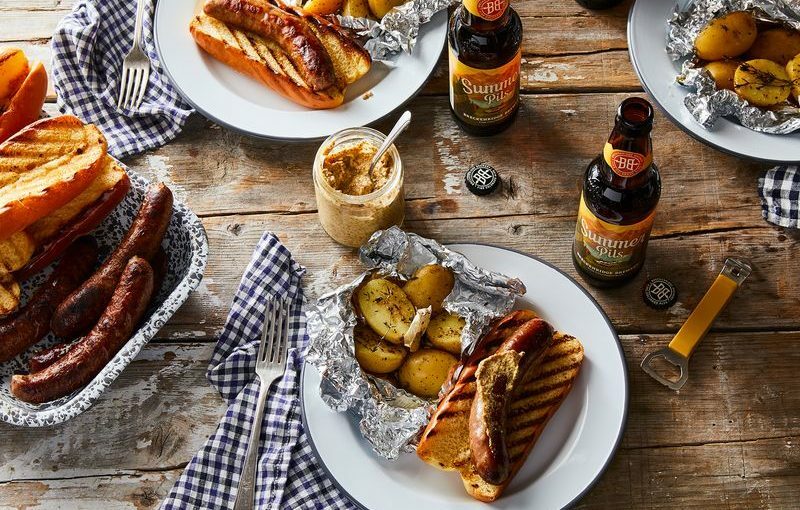 We’ve got all kinds of suggestions for ideal picnic fare, but your best bet for easy drinking? A bright, crisp lager. Snacking on energy bars during the trail is accepted, but to respect this natural wonder, trash should be collected and disposed of in noted receptacle areas. Hanging Lake; Glenwood Canyon. Spend the night at Rocky Mountain Treehouse. Love the wilderness without all that…wilderness? Forgo pitching a tent and book a room at the famed Rocky Mountain Treehouse. Built in 1971, this two-story treehouse sits over two acres, suspended 25-feet above the small freshwater creek, Cattle Creek. Climb up the winding rock staircase to reach the hand-built cabin in the sky, equipped with a rock shower, sleeping loft, and a hot tub on the balcony. This six-guest cabin is only a short hike from the main road, offering an accessible getaway for any group. The best part? It’s on Airbnb for only $220 a night. What to eat: Housing a full sized-granite kitchen, this beats campfire cooking by a long shot. 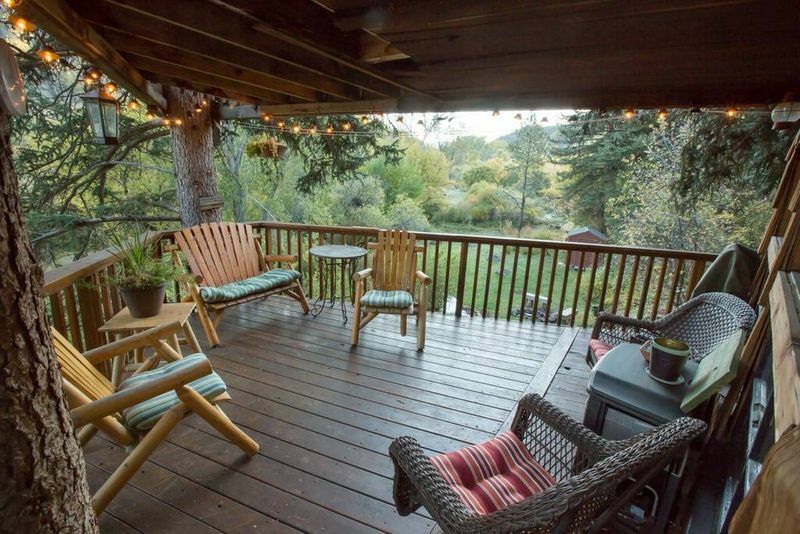 Cook up your meal (maybe something quintessentially Colorado, like green chili) over the wood-fired stove and park it on one of the two balconies so you can savor sweeping views—and a clean, refreshing IPA—along with your dinner. Location provided upon booking; Carbondale. What are your favorite things to do in Colorado in the summertime? Share them with us in the comments below! In partnership with Breckenridge Brewery, Colorado-based makers of quality craft beers, we’re thrilled to share heart-pumping adventures and locally approved bites across this Rocky Mountain state. 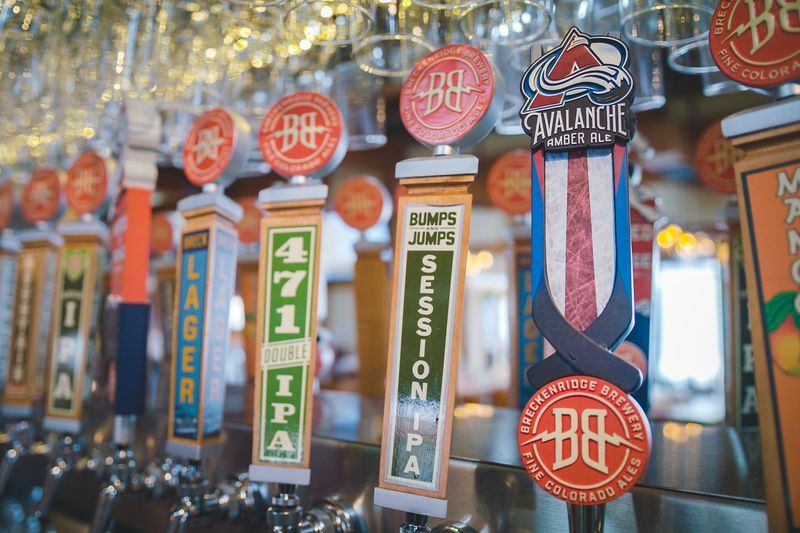 Whether you’re picnicking, camping, cooling off after a bike ride or hike, or relaxing in one Colorado’s many great restaurants or bars, a Breckenridge beer is the perfect pairing. Want more great pairings? See our guide to summer eats and brews around the country!